Outer Banks Boat Charters inshore tours Discover the Beautiful Albemarle Sound From a Unique Perspective. Outer Banks boat tours located in Nags Head, NC. Charter inshore pontoon boat tours can be made all year long, view our half day OBX fishing and crabbing and tubing, full day Outer Banks Inshore fishing, crabbing and tubing, two hour tours or Outer Banks sunset evening cruises. Book a trip with Capt. Randy TODAY! 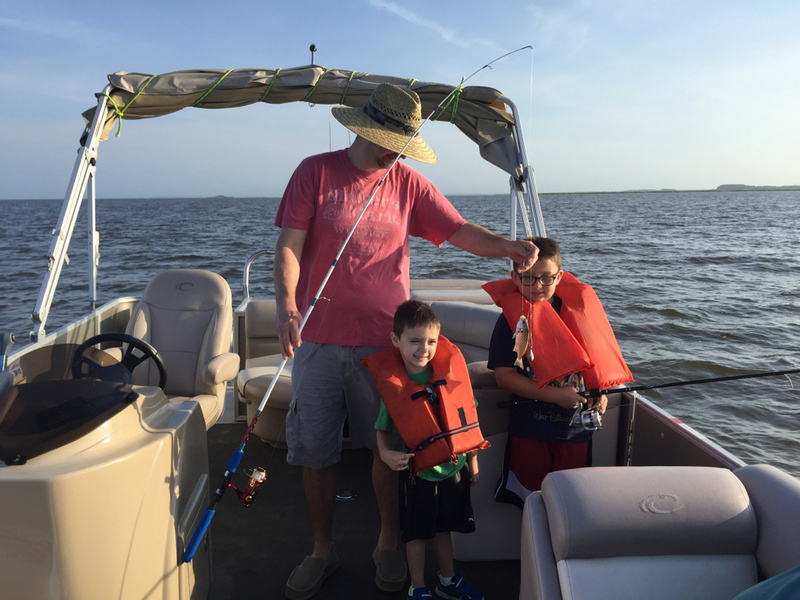 Spend a couple hours on the water in the Roanoke sound with Captain Randy Graham. Whether you want to fish, crab, search for dolphin, tube, go island exploring or try a little bit of everything, this is a custom trip geared to what you want to do! No Fishing Permits are required with Capt. Randy as his commercial license has got you covered! Spend a Half Day (4 Hours) with on the water in the Roanoke sound with Captain Randy Graham. Enjoy an amazing Outer Banks sunset from the water.